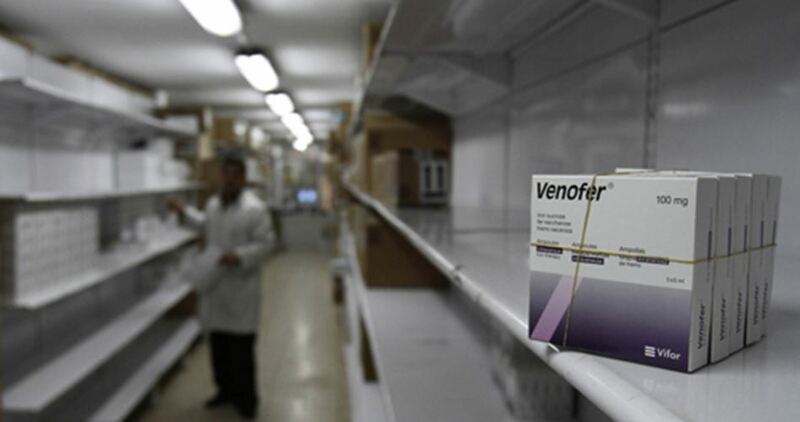 Ramallah-based Ministry of Health on Sunday announced sending truckloads of medicine to Venezuela as a donation from the Palestinian Authority (PA) based on a decision by the PA president Mahmoud Abbas. PA Health Minister Jawad Awad said that three trucks of medical supplies used in first aid and emergency situations were sent to Venezuela. PA Foreign Minister Riyad al-Malki said that Abbas’s decision came in response to an appeal by the Venezuelan government because of “the difficult circumstances experienced by the country and attempts by the extreme right to overthrow the regime”. This move comes at a time when the Gaza Strip is suffering from a major health crisis as a result of a series of punitive measures waged by Abbas against the coastal enclave, the most important of which are suspending patients’ medical referrals and depriving Gaza’s Ministry of Health of its share of medicines. Egyptian, Jordanian and Palestinian foreign ministers on Saturday called for Israeli-Palestinian peace talks at a press conference in Cairo. The main cause of instability in the region is the unresolved Palestinian crisis and the failure to observe the legitimate rights of the Palestinian people, Egypt’s Sameh Shukri, Jordan’s Foreign Minister Ayman Safadi and Palestine’s Riyad Al Maliki agreed. Sameh Shukri said that the ministers discussed a solution for the establishment of a Palestinian state with the capital of East Jerusalem. Maliki also stressed that they are ready to fight any violation against Al-Aqsa Mosque. A written statement was issued after the foreign ministers’ meeting, saying that all unilateral practices toward changing the Arab, Islamic and Christian identity of East Jerusalem should be ended and that Israel should respect the historical and legal status of Al Aqsa Mosque. The statement praised the role of the US in the peace settlement, adding the desire of the ministers for the US to increase its efforts in helping to achieve peace on both sides. Egyptian authorities have prevented an Algerian humanitarian aid convoy from entering the Gaza Strip through the Rafah Crossing, a Palestinian NGO revealed on Friday. 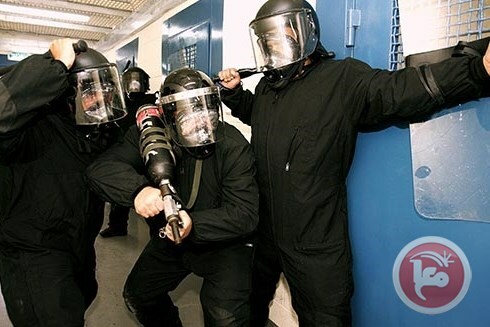 BETHLEHEM (Ma’an) — Israel Prison Service (IPS) forces raided a section of Israel’s Ramon prison, located in the southern Negev desert, on Sunday morning, and transferred over a hundred Palestinian prisoners to other prisons, according to the Palestinian Committee of Prisoners’ Affairs. The committee released a statement on Sunday saying that IPS forces raided Section 6 of the prison and transferred out 120 prisoners, all affiliated with the Fatah movement. IPS authorities regularly use raids, punitive solitary confinement, confiscation of personal belongings, and forcible prison transfers to suppress Palestinian prisoners, whose numbers inside Israeli prisons reached 6,128 as of July, according to prisoners’ rights group Addameer. The group has reported that 40 percent of the Palestinian male population has been detained by Israeli forces at some point in their lives. 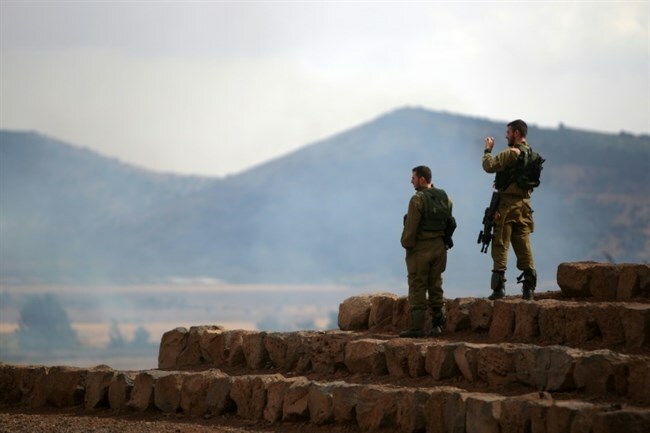 BETHLEHEM (Ma’an) –Two Israeli soldiers were attacked on Friday night in a public park in the town of Pardes Hanna-Karkur, south of Haifa in northern Israel, by a group of young Israelis who allegedly thought the soldiers were Palestinians, according to Israeli media. Ynet news reported on Sunday that the two soldiers were sitting in the park with a young woman when they were attacked by the group of youth, who according to the soldiers, yelled “you are Arabs” at the soldiers, who were on vacation and presumably not in uniform. The group of Israeli youth then attacked the soldiers with the end of a hookah pipe and other blunt objects. Both Arutz Sheva and Ynet reported that the father expressed his outrage over the attack, exclaiming “soldiers go on holiday and are attacked by criminals only because they look like Arabs to them,” adding “they lynched them, it could have ended in death.””They attacked them with a pipe from a hookah and other blunt objects. How low can we fall? There are two soldiers who were physically and mentally harmed. And if they were Arabs, then we have to hurt them? We are shocked and call for them to be dealt with,” the father said. Meanwhile, according to the United Nations Office for the Coordination of Humanitarian Affairs (OCHA), there were a total of 107 reported settler attacks against Palestinians and their properties in the West Bank and occupied East Jerusalem in 2016. OCHA has recorded 65 such attacks since the beginning of the year. 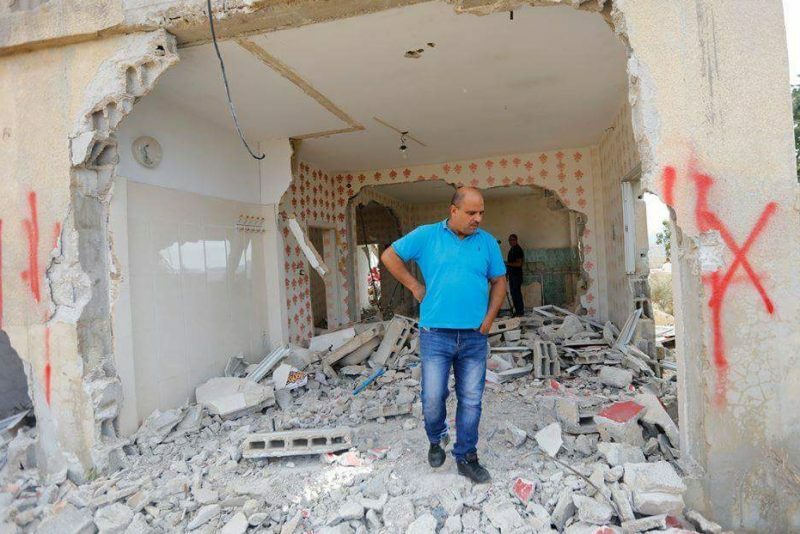 BETHLEHEM (Ma’an) — The leftist Palestine Liberation Organization (PLO) faction the Popular Front for the Liberation of Palestinian (PFLP) has called for a broad campaign to rebuild homes that have been punitively demolished by Israel. The PFLP on Sunday urged that Palestinians assist in rebuilding a home in the central occupied West Bank village of Kobar belonging to a Palestinian family, which was demolished by Israel as punishment for a deadly attack carried out by a 19-year-old member of the family. Omar al-Abed was shot and detained last month after he broke into a home in the nearby illegal Israeli settlement of Halamish and stabbed and killed three Israelis. Last Wednesday, Israeli forces punitively demolished his home, despite it being still inhabited by his parents and siblings. However, Israeli forces have also since detained Omar’s mother, father, and two of his brothers. Israeli authorities have extended the remand of at least the mother and one of the brothers, accusing them of having advanced knowledge of the attack. During the predawn demolition raid into Kobar on Wednesday, Israeli forces completely destroyed the second floor of their home and partially destroyed the first floor, as violent clashes broke out in the village, resulting in the injury of 12 Palestinians, including a journalist who was attempting to cover the events. Israeli soldiers posted leaflets in the streets of Kobar threatening residents with similar punishment should they attempt to carry out attacks against Israelis. In the weeks since the settlement attack, Kobar has also been subjected to ongoing raids and military blockades impeding the freedom of movement for residents. The PFLP in the statement on Sunday called on Palestinians to launch a campaign to help rebuild the home and keep Kobar’s streets open. The leftist faction said that on Thursday, masked PFLP members arrived to the ruins of the al-Abed home and adorned it with Palestinian flags and painted its remaining walls and other walls throughout the village the message: “al-Fidai Omar al-Abed” (The struggler, Omar al-Abed). 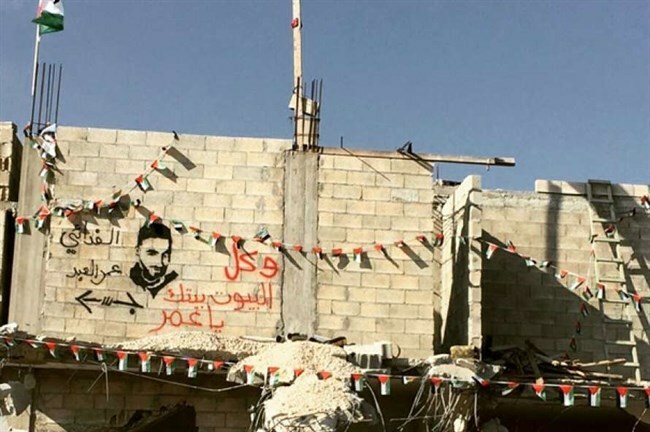 An image of Omar was also painted at the main entrance to the village “to send a message to the occupation that the people embrace the resistance and their families,” the PFLP said. “In the past few weeks, there has been a mass popular stand in the village of Kobar against the occupation forces,” the political party wrote, explaining that confrontations with Israeli forces have included opening roads closed by the army and blocking off others to stave off military raids, with scores of Palestinians being detained and injured by Israeli soldiers in the process. Palestinians in Kobar as well as villagers in neighboring Um Safa have also been subjected to violent reprisal attacks by Israeli settlers since the three Halamish settlers were killed. Separately, the PFLP said Sunday that its members had also launched a campaign to reopen a bookstore in al-Duheisha refugee camp in Bethlehem after it had been forcibly shut down by Israeli forces during a violent raid in which one local was shot and injured. “The occupation forces closed a number of stores, including a bookstore, inside the camp, claiming they sold fireworks which were then launched by the youth against the daily invasions of occupation soldiers,” the PFLP said. BETHLEHEM (Ma’an) — Israeli police have detained a Palestinian over allegedly “inciting violence and terrorism” and expressing support for the so-called Islamic State on Facebook, an Israeli police spokesperson said on Sunday. Luba al-Samri wrote in a statement that a man in his 40s who was living in the southern occupied West Bank district of Hebron, previously a resident of Shufat refugee camp in occupied east Jerusalem, was detained last Friday and saw his remand extended on Sunday for interrogation. She said the case against the Palestinian, who was not named, was opened several months ago after Israeli police monitored posts shared on his Facebook page in support of ISIS and its activities in various countries, including videos depicting executions carried out by the group. She said the investigation and interrogations of the man were ongoing. Israeli news daily Haaretz reported in April that Israeli forces detained at least 400 Palestinians in less than a year over social media activity, and that 400 others were detained for the same reason by the Palestinian Authority through its widely condemned policy of security coordination with Israel. As of January, only 200 Palestinians faced trial for such charges, according the Arab Center for Social Media Advancement 7amleh. A more recent report by Haaretz revealed how Israel has been monitoring social media profiles and subsequently making arrests when “the kid doesn’t know that he is a terrorist yet,” as one Israeli army officer put it. A group of five pro-Palestinian activists in the UK face possible prison sentences after being arrested during protests outside an Israeli-owned weapons manufacturing company. Charged with a breach of the Trade Union and Labor Relations, the protesters face at least six months in prison and a fine of up to £5,000, the media reported Sunday. They were arrested in July following a protest in the West Midlands town of Shenstone that forced the UAV Engines Ltd plant, a subsidiary of Israeli drone manufacturer Elbit Systems, to shut down all operations for two days. The demonstration saw activists put small coffins outside the factory and lay down next to them to raise awareness about the Israeli regime’s record of killing Palestinian children over the years-long occupation of the country. Palestine Action, the organization that helped organize the demonstration, said all of the accused would plead not guilty in the case. “They [protesters] believe that the factory is complicit in illegal activity and that they were preventing a crime,” the group’s Birmingham and Manchester branches said in a statement. Two British universities cancel an annual pro-Palestinian event aimed at raising awareness about human rights violations in the occupied territories. A lawyer for the protesters said “the lawfulness of [Elbit and UAV Engine’s] activity in its factory” was one of the issues that they were going to discuss in the case. Based in the northern Israeli city of Haifa, Elbit produces range of military equipment, including drones, aircraft, weapon control systems, and artillery. The company’s customers include the Israeli army, US Air Force, the British Royal Air Force, and the French Defense Ministry. A group of European Banks and financial institutions have on several occasions boycotted the company for arming Israeli military forces despite growing criticism from the international community. The efforts are part of the Boycott, Divestment and Sanctions (BDS) global movement against Israeli companies. The British government has been under increasing pressure from Israel to put a ban on pro-Palestinian demonstrations. A number of universities in the UK have already banned their students from holding events in solidarity with the people of Palestine. 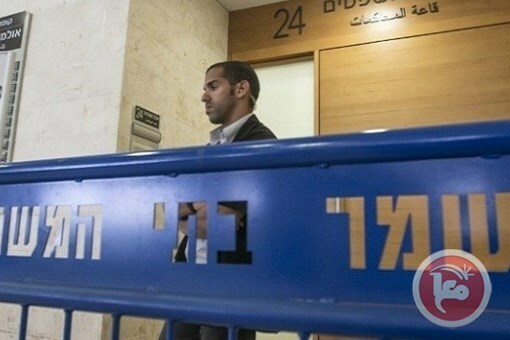 On Sunday, lawyer Ashraf Abu Sneina, of the Palestinian Detainees’ Committee, has reported that the Ofer Israeli military court, near Ramallah, in the occupied West Bank, has issued arbitrary Administrative Detention orders against fourteen detainees. Abu Sneina stated that the detention orders, some are new and some are renewals, vary between three and six months. Detainees held under such orders are not officially charged, but are imprisoned under alleged “secret security information,” to which neither they, nor their lawyers, have access to. Odai Zahra Khaddour from Hebron – 3 months order. Mohammad Hussein Shallash from Hebron – 6 months renewal. ‘Ala Awad Obeyyat from Bethlehem, 4 months order. Monjed Nader al-Qawasmi, 4 months renewal. Ibrahim Mohammad Faqeeh from Ramallah, 5 months renewal. Yousef Mohammad Lahham from Jenin, 5 months renewal. Eyad Habib Mousa from Bethlehem, 4 months renewal. Tha’er Aziz Halahla from Hebron, 4 months renewal. Hani Awadallah from Qalandia, 4 months renewal. Ibrahim Mousa Makhamra from Yatta in Hebron, 6 months order. Ibrahim Yassin Abu Srour from Bethlehem, 4 months renewal. Rami Hisham Abu Safiyya from Hebron, 4 months renewal. Mohammad Talab Shawawra from Bethlehem, 4 months renewal. Mabrook Mahmoud Jarrar from Jenin, 3 months renewal. Abdul-Nasser Ferwana, the head of the Studies and Documentation Unit of the Palestinian Detainees Committee, has reported, on July 16, 2017, that Israel issued 581 arbitrary Administrative Detention orders against Palestinian detainees, including women, in the period between early January and the end of July of this year alone. Ferwana added that 188 of these orders were new orders, while the rest, 383, were renewals. 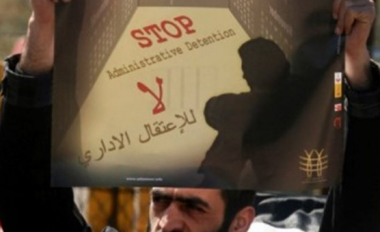 The official, who is also a former political prisoner, stated that the number of Palestinians held by Israel is more than 6300, among them 486 (at the time of his report) who are held under Administrative Detention, without charges or trial.